Manifest Destiny Introduction – An Energy Vortex reblog series starts now! 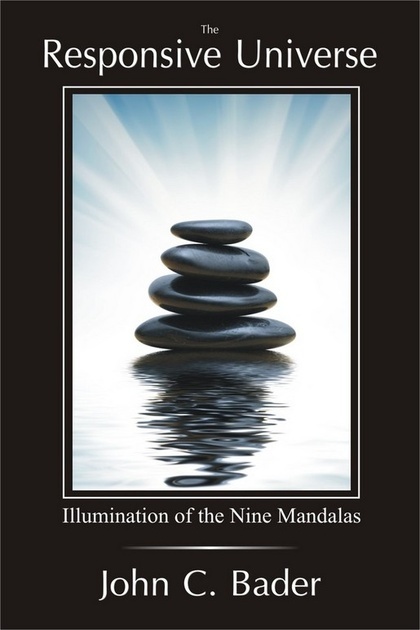 THREE DAYS AND COUNTING – until the “Official Online Release” of the Responsive Universe – Meditations and Daily Life Practices by John C. Bader – On sale 8am CST; July 4th, 2012. In celebration of this exciting and much-anticipated book release, we are re-blogging a special series titled “Manifest Destiny” – Meditating Across America. This was research for the Responsive Universe and it takes an intimate look at energy, nature and the positive effects of meditating outside – We hope you enjoy the following re-blogs today. I am really excited about my next series of journal posts. Several days ago I talked about mysterious energy vortexes – special places that exist here on Earth that hold higher levels of spiritual and, or quantum energy. Several notable places exist in Sedona Arizona for example. Later this week I will be disembarking on a cross-country road trip adventure that will take me across several distinct geographical regions known to harness the power as described by these energy vortexes. I plan to search out these places and actually meditate on site in an effort to connect to the higher levels of energy associated with this vortexes. An energy vortex is a unique place where the energies found here on Earth actually gather in a specific area or region. Dating back thousands of years, ancient civilizations have built churches and temples on or near these sites: Stonehenge in England, the Uluru-Kataijuta rock in Australia and the Pyramids of Egypt have all been documented as places akin to energy vortexes. Also called Chakras, these special vortexes exist with varying levels of energy. Even the natural beauty of a forest, coastline or simply a sunset vista can hold higher levels of energy. On all accounts, it requires some effort from the person trying to connect to such energies. It is critical for a person to be focused in the present: Gone should be thoughts of the past and future which are typically rooted in fear and fantasy. Once our focus is fixed in the present, we can open up to the vast energy that is present in these unique places. I have a hunch that you too have felt this energy in one form or another. In general, we rarely pay attention to energy rushes or the peculiar fervor of a clear, sunny day because of our preoccupations with life. Yet I am sure everyone has had at least one moment where they tasted this kind of acute perception, especially while surrounded by nature. But what causes this energy to form? Modern physics describes sub-atomic actions and reactions as a dominating force in the universe. The cosmos is an expanding bundle of energy that coalesces and forms new energy from old energy. Further, quantum physics explains that there is this field of energy in the form of particles and waves of light that is interconnected to everything: From a small atom in a apple to an expansive evergreen forest, to a spiral galaxy 10 million light years across. Positive energy flows through the air we breathe like invisible ripples on a calm pond. This energy is the tireless vehicle for everything in life. Humans can channel this energy in the form of karma and we can receive energy from natural elements in the world. This will be the focus of my upcoming trip across America entitled “Manifest Destiny”. In essence, I will be meditating across America. My adventure will begin in Chicago, IL. and then head westward. My travels will then take me across the Great Plains, through the mountains of Colorado to the coastline of California. I will then be looping back through the southwest to visit Sedona, AZ – one of the most celebrated areas for energy vortexes. It has been said that you should not visit an energy vortex unless you have a purpose. My purpose is to better understand myself and try to connect to a higher level of clarity and responsiveness. Each site I visit will be time invested in observation, meditation and hopefully realization of something intriguing and inspirational – maybe even life changing. I will be meditating across America the next two weeks and I am eager to report back. Will you join me?